At just the age of 22, Dua Lipa has achieved an awful lot in the past few years. 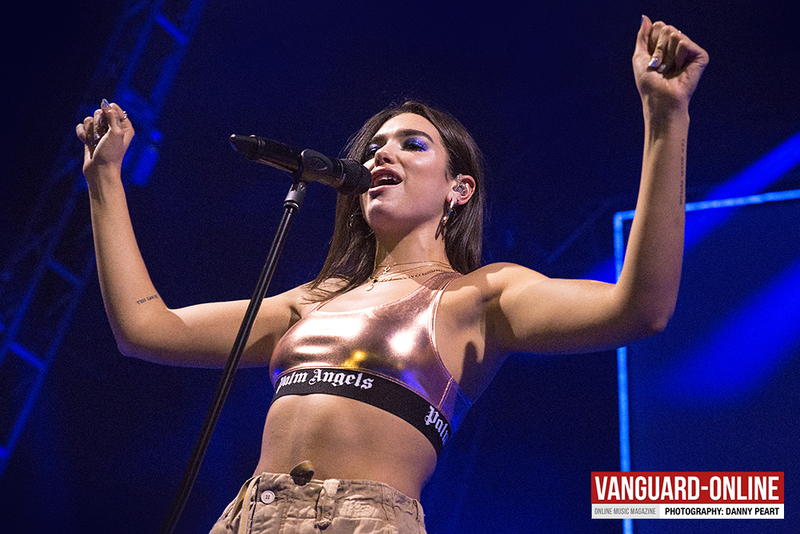 Having supported the likes of Coldplay and Bruno Mars on their world tours, it’s no surprise the London singer has turned heads all over the world, and now with the recent release of her debut self titled album, Dua Lipa is flying high. Currently sitting in the top 20 in the UK album charts, and top 4 with her latest single ‘New Rules’, you wouldn’t be surprised to find out her headline show at Leeds Academy (and the majority of her other shows on the self titled tour) completely sold out. Already with an ever growing list of hits the show was always going to be a strong one, and that’s exactly how it started. When the curtain drops the stage glows red and her backing band take to the Leeds Academy stage to almighty cheers to pound out a thunderous intro with bass and drums. A grinning Dua Lipa (9) emerges from side stage to throw us straight into ‘Hotter Than Hell’ to get the show underway in the most emphatic style possible. 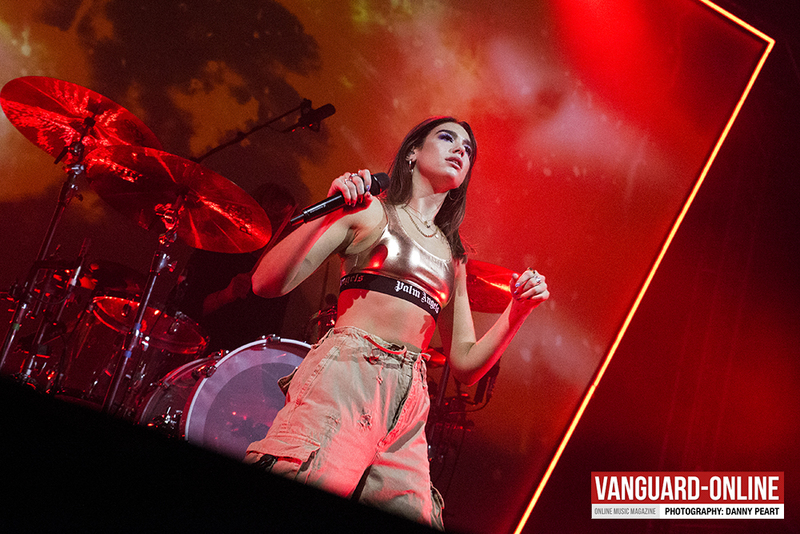 The noise levels are through the roof from the start as the sold out crowd sing their hearts out, as Dua paces around a smoky red glowing hellish stage. The groovy ‘Dreams’ follows with a sudden breakdown mixing into ‘No Lies’, her hit track with Sean Paul which goes down a treat. The singer can’t stand still as she dances around the stage making sure everyone is singing and dancing along with her throughout the set. Her vocal performance live is flawless, hitting every note effortlessly sounding as good live as she does on record. Equally her stage presence is just as fantastic, and is more than enough to have the crowd mirroring every jump and wave encouraged by the singer. It’s worth mentioning her backing band, who only helped maximise each track live with a solid and tight performance throughout the show, bringing plenty of personality to the tracks with some creative intros and jams from time to time. Expectedly the set is built with tracks from her debut hit album, so there are very few surprises in the set, however there are still a few special moments throughout the evening. Stripped back, ‘Garden’ and ‘Thinking Bout You’ are both sang beautifully, and calm the show down temporarily mid set for a sing along. Following suit, her first single ‘New Love’ flaunts Dua’s voice as she sings through the track alone without her band, as the Academy is lit with lights from mobile phones and lighters alike. 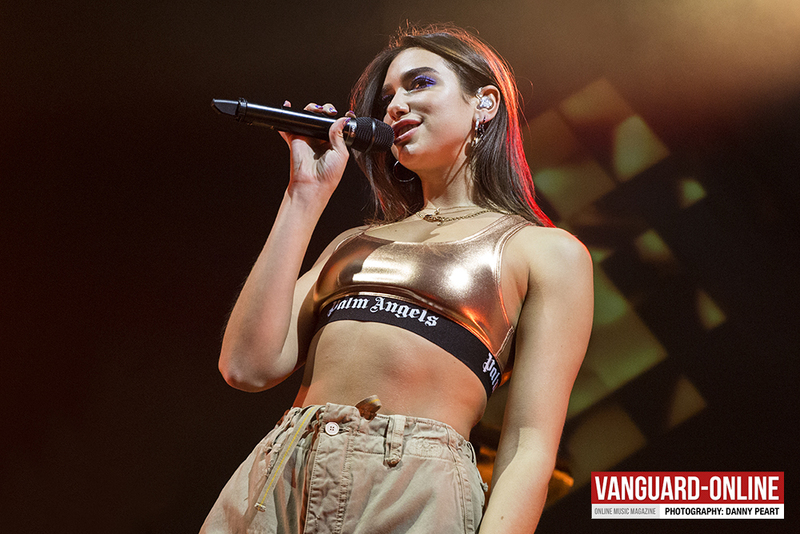 A routine encore find Dua stood tall on a platform to the side of the stage to sing her way through ‘Homesick’, before she finishes the night off with a bang with the brilliant ‘Be The One’ with a little crowd participation. Finally her hit single ‘New Rules’ closes out the show with the liveliest moment of the night as the crowd crouch low to the ground before jumping their way into the final chorus explosively. It’s a solid performance from Dua lipa, who will only grow in confidence as she grows more and more popular, not only in the UK, but across Europe and the world. 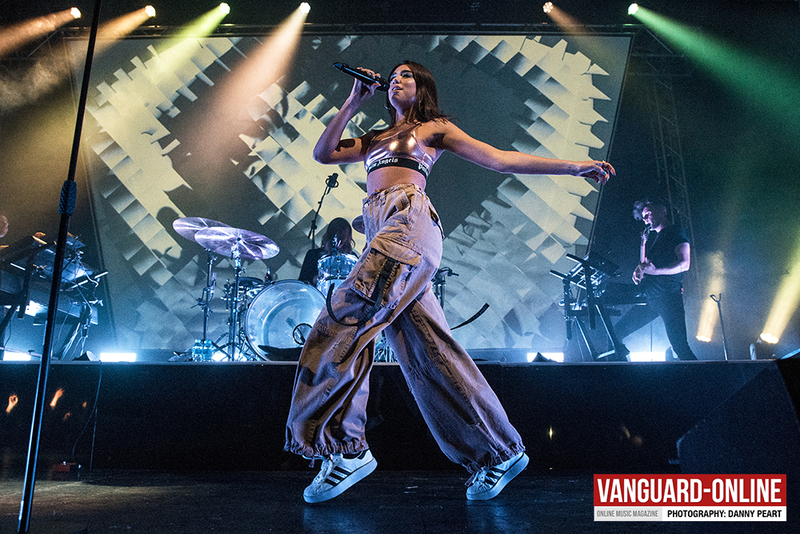 Already lining up a second UK tour with multiple nights in larger venue’s, there’s going to be no stopping Dua Lipa as she takes on the world.